For several months now, I’ve been taking you through the list of the 13 recognized personality disorders. I addressed the Antisocial a few months ago, defining that person as one whose thinking, reasoning and judgment are severely impaired. Thy constantly misperceive situations and other people, then act according to their misperceptions. Their minds are missing that moral compass that expressed or feels empathy or likemindedness with others. Getting other people upset is his fame, and as soon as his victims feel unsettled and distressed, the antisocial feels calm and in control. I also addressed the Psychopath, which is similar to the sociopath but more extreme. The psychopath’s extreme ego-centeredness is consistent with his shallow emotions, absence of empathy, and ongoing use of others by manipulating or forcing them to support him. If charisma fails to get him what he wants, he will quickly resort to violence without a pang of guilt or remorse. Between these two personality disorders lies the sociopath, or the Sociopathy Personality Disorder. While some may think that a sociopath is stair-stepping his or her way from antisocial behavior to psychopathic behavior, it is more common that a person will demonstrate Sociopathy from the start and remain in that specific wedge of personality disorders his entire life. While often compared to the psychopath, the two are distinctly different in that the psychopath appears to have a continuous anger and a disposition toward violence, while the sociopath is charming at first, and then more aloof and non-empathetic, eventually resorting to violence out of blame for someone else’s actions. Some professionals believe that the sociopath develops during adolescence and into early adulthood, and is not hereditary as is psychopathy. Some of a sociopath’s behavior may be due to an under-developed or damaged prefrontal cortex, which is responsible for “controls” such as delayed gratification. He is more likely to be found in a lower socioeconomic population, but that is by no means absolute. We may discover that poor parenting, the absence of a father or childhood trauma played in actualizing the sociopathic potential. Irresponsibility and disregard for social norms – the sociopath feels justified whenever he can cheat the system – which is all the time – because he feels the system treats him unfairly. He enjoys subverting the proper channels and functions of public institutions. An inability to tolerate loss or looking like the “loser” – The sociopath regards personal profit, pleasure or conquest as an end justifying the means. The person with sociopathy will strive to win at all costs. When he loses, he takes it extremely personally. In fact, if he loses a fair and square contest, afterward he may seek revenge anyway. Charming at first, then problems with maintaining relationships – Sociopathy can be hidden initially in an extremely charming and generous facade. This, however, doesn’t last long. Sociopathy shows in impulsive, irresponsible and manipulative behavior. The sociopath cannot be trusted. He uses lies effectively and puts on a good show when he wants to direct attention away from himself. 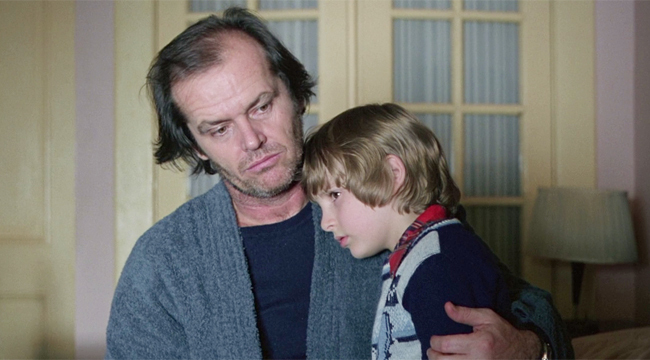 One of the greatest actors to portray this very trait was Jack Nicholson in “The Shining.” He could turn on the charm when needed, but his inability to “look like a loser” to his boss or wife created ghastly repercussions. Lack of guilt – Since the sociopath lives in a world inhabited by only one person, he does not feel the need to justify or explain his behavior, however hurtful it might be. No matter what, in his own mind. he has done no wrong. Lack of concern and empathy for others – The fictional character, Sherlock Holmes, is often regarded as a high-functioning sociopath as he is extremely aloof and cares little for social regard. He does not realize when he hurts the feelings of his closest working or personal companions – which tend to be very limited – in Sherlock’s case, to Watson alone). The tendency to blame others as a way to rationalize his own behavior – Having always conditioned himself to believe every problem, trouble or conflict is someone else’s fault, i.e., “He had it coming,” or “She was talking back so I hit her,” the sociopath is resistant to suggestions that he needs help. Not surprisingly, the sociopath presents a very difficult challenge to health professionals as he is not easily convinced that he has a problem or disorder. Having always conditioned himself to believe every problem, trouble or conflict is someone else’s fault, the sociopath typically has a dismal record of treatment outcome. Martha Stout estimates that sociopaths account for 3% of the population. While this is a small number, it is important to identify them whenever possible in order to protect ourselves, all those we love, and society. Stout’s chilling but accurate summation of the sociopath is that this is a person who has no soul.